Save AED 5 (62.50%) – Earn 0 Shukrans What is Shukran? Shukran is the Landmark Group’s award-winning loyalty programme in the Middle East, which allows you to earn Shukrans when you shop any of our brands. High on looks and utility, this bottle cover is great for travelling. This soft and smooth cover is easy to use and maintain, which makes it a great pick for regular use. 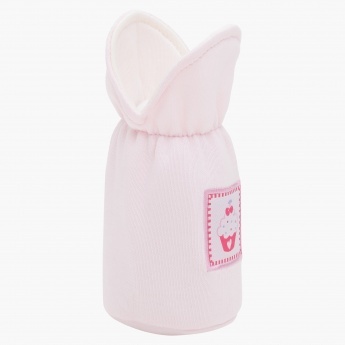 Along with a lovely embroidered patch for an attractive look, it has an elasticised neck to hold the bottle properly.